This listening station can seat 4 children and accepts audio equipment (not supplied) that can be stored in one of the 4 lockable cupboards. It has a distribution board location situated between the necks. Ideal for children to sit listening to stories or, with headset microphones, can also be used in conversational and linguistics teaching. 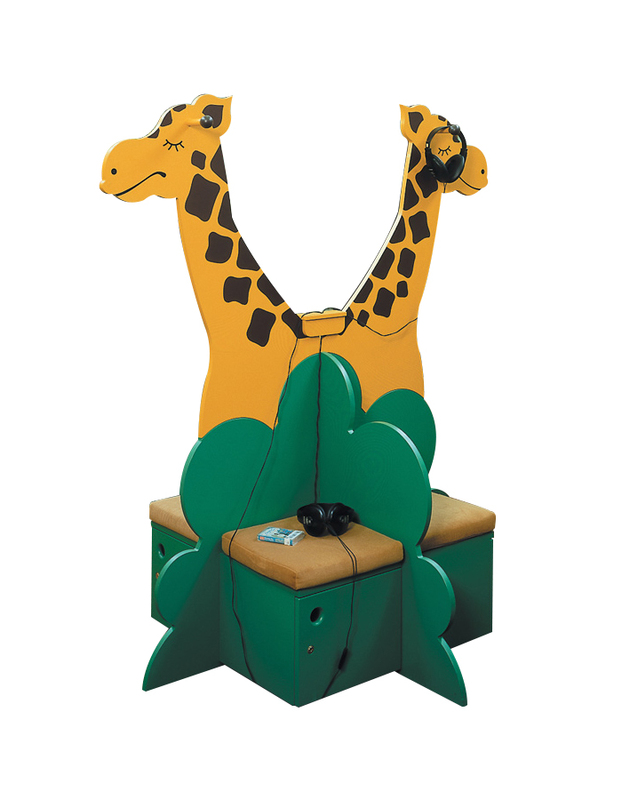 The fun sleepy giraffe design means it is ideal for schools and children's areas of libraries.